2012… Year of Great and Awesome Things. Rojo Robin tucked itself away for a Sunday of planning… after the launch of our business last year, we’ve been so happy to be creating, and very very busy so it was time for some reflection and plan making. In the spirit of 2012 “The Year of Great and Awesome Things” (we have deemed it) we thought we would share some personal and Rojo goals that we are excited to get rolling. Rojo will be making a website, hosting our beloved blog and sharing our work with some set design and custom invitations available. We will both start yoga AT LEAST once a week. We will eat good, ethically sourced food. I can’t rate Ceres Fair Food highly enough for you Melbourners! *More to be discussed! Bring on year of the dragon I say. 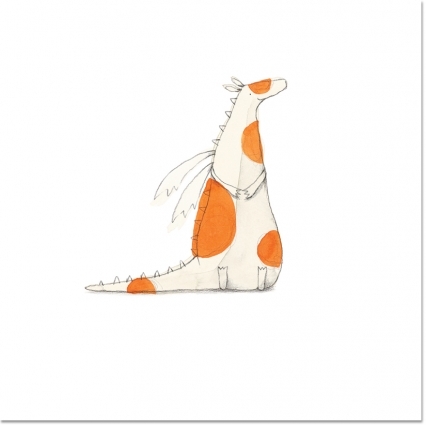 (Image from the super awesome Anna Walker and her book I Don’t Believe in Dragons).